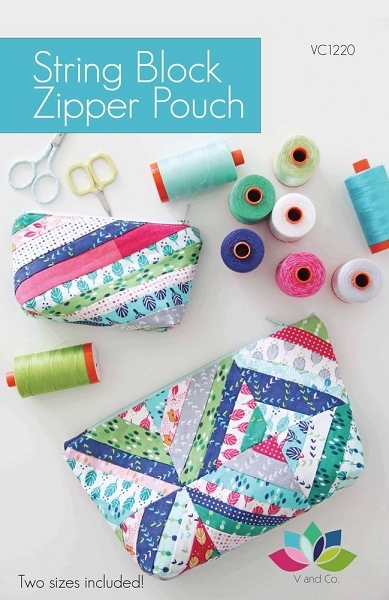 This pattern includes instructions for two different sized string block zipper pouches. large one measures 9" x 5" and the small pouch measures 6" x 3". 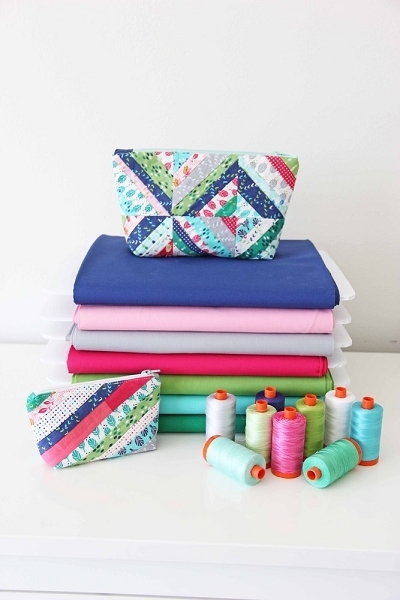 these are perfect for carrying sewing essentials, or appliqué pieces. 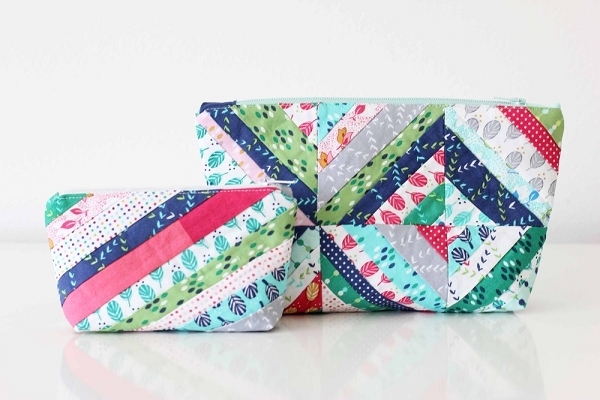 make them in laminate and make makeup bags! strips of fabric with widths of at least 1"